Who decided that cold things have to be slow and clunky? That’s totally not the case for Mei, especially when she’s in the hands of an experienced player. One person has put together a list of over 90 different spots where she can use her wall to get a tactical advantage. We’ve got a weekly show all about Overwatch, called Overwatch This! 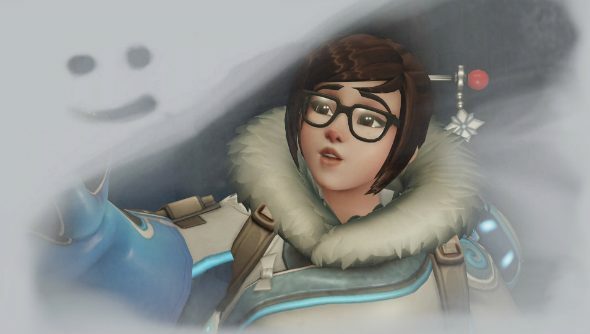 In case you weren’t aware (and, like me, are an ignorant Mei player who’s bad at putting two and two together), Mei can summon her ice wall underneath herself to shoot upwards and gain a height advantage, or reach new ledges. With it, suddenly Mei becomes much more versatile in the paths she can attack from. You can see the full selection over on the Overwatch subreddit, where it’s all sorted by map and whereabouts it can be used. There’s also a full album collatedon Gfycat. Some are especially jammy – the first trick on Horizon Lunar Colony, for example, is annoyingly clever. Will it make me a good Mei player? Almost certainly not. Will it make me a much more flashy Mei player? Definitely.